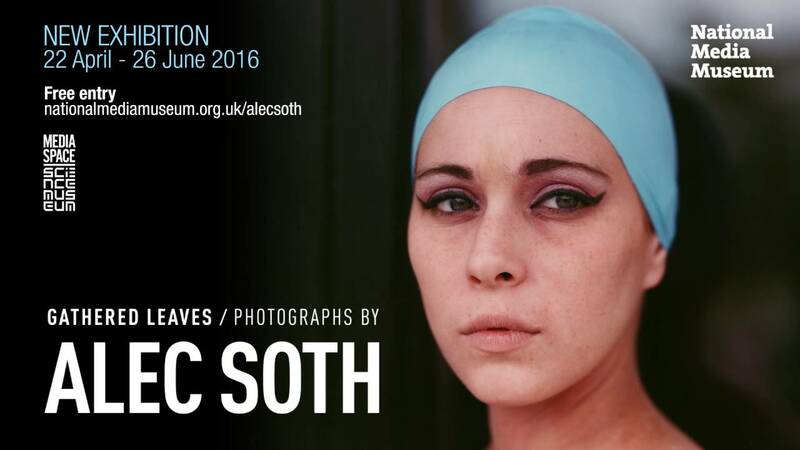 FOMU is bringing the work of renowned Magnum photographer Alec Soth (US, °1969) to Belgium for the first time with the exhibition Gathered Leaves. This retrospective draws from four critical series from his oeuvre: Sleeping by the Mississippi (2004), Niagara (2006), Broken Manual (2010) and Songbook (2014). Alec Soth is known for his lyrical approach to documentary photography. 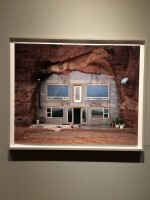 His work is based on a fascination with the vastness of America, recalling Robert Frank, Stephen Shore and Jack Kerouac. 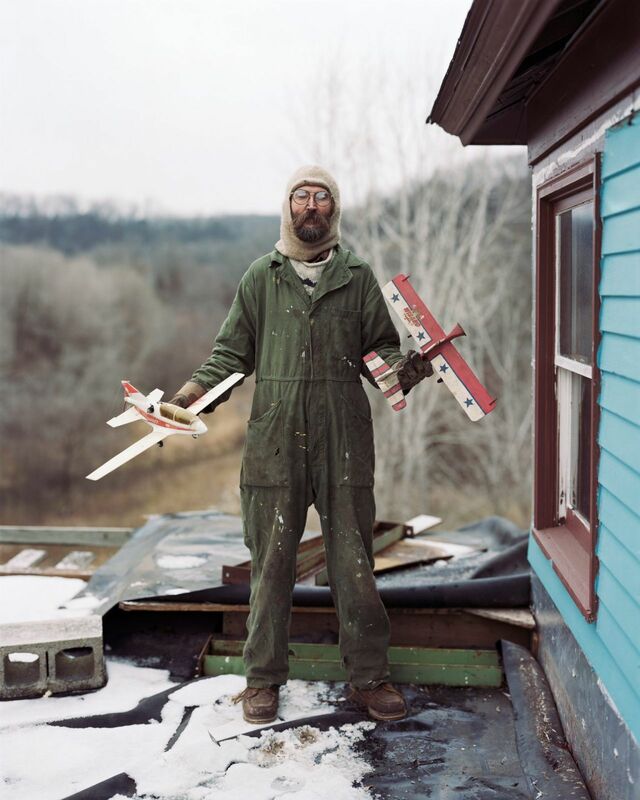 Alec Soth lives in Minnesota and is an artist, photo journalist, blogger, publisher, Instagrammer and teacher. His boundless energy and distinguished position in the international art world makes him a major influence on the younger generation of visual artists. FOMU’s presentation of his work depicts the evolution of his career and shows how important the role of the photobook was to his success. Gathered Leaves is an exhibition by Media Space / Science Museum, London. 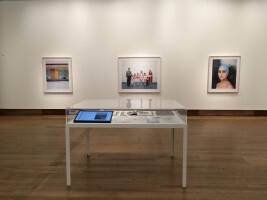 Following on a great tradition of American photographers, the Media Space at London’s Science Museum presents Alec Soth’s first major UK exhibition. Presenting four signature series of work from the last decade, Gathered Leaves is a must see before the end of the month if you find yourself in London. Reviewed by Photo Editor Callum Baigrie. 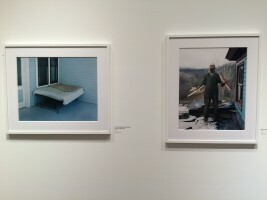 Divided into four rooms, the exhibition begins with Sleeping by the Mississippi (2004), chronicling Soth’s journey down the Mississippi river. Following in the footsteps of Jack Kerouc and Robert Frank, Soth offers a modern insight to the much travelled pathway. A mixture of portraits, such as that of Reverend Cecil and Felicia, to images of abandoned rafts and motels Soth captures the sense that it is a place for all and, eventually, everyone moves on. Also presented are multiple editions of the book. The series overall presents a sense of fragility, not only in the trees fighting for survival amongst the cascading waters but in the love felt in the young and old of the surrounding areas. The penultimate room takes a decidedly darker turn, with subdued lighting and darker walls. Broken Manual (2010) explores the mystery of the Olympic Park Bomber, and those individuals who decide to turn away from society and become hermits. Producing survival guides and instruction manuals on maintaining anonymity, Soth set out to reach out to some of the hermits he’d researched. Resonating on a level with them, he unearthed his own desire to run away and hide drawn to the intensity of an introspective life. Pulling far away from the subject, the project becomes one of surveillance more than anything. A subtle yet important motif in the series, images are named with codes such as 2008_08zl0063. A bizarre combination of numbers and letters to many, the codes are commonly used by photographers to organise their work, and presents a personal sense as only Soth himself can interpret these codes in the context of his own archives. 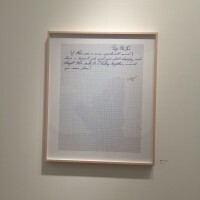 Concluding the exhibition, Soth attempts to reconnect with the world with Songbook (2012-2014). Returning to his roots as a newspaper photographer, Soth works with writer Brad Zellar. Traveling around, they hunt down local interest stories and pose as journalists, created ‘Dispatches’ for each town they visit. States covered include California, Michigan, Ohio and finally, Georgia. Following the dispatches, Soth removes the writing by Zellar, working the photographs into a book with song lyrics from the Great American Songbook to create a nostalgic series. 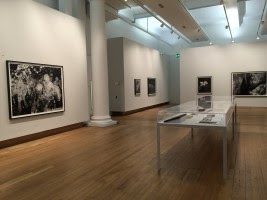 Presented alone, the black and white images displayed on the walls of the Media Space definitely give this sense of nostalgia that has been absent from Soth’s previous works. You can definitely get the sense that he is beginning to look back over his career, as well as the photographers that came before him. At his first major UK exhibition, Alec Soth definitely establishes himself as one of the modern influential photographers. The exhibition expertly juxtaposes the images he produces alone, alogside the publications and surrounding research that resulted in the finished pieces It gives the audience the opportunity to explore the multiple readings of the work, and get into the minds of the photographed. Soth expertly presents the American human spirit, one that has not been glamourised by Hollywood. 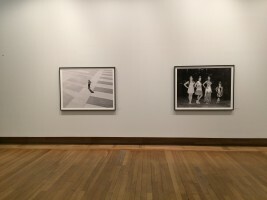 De Amerikaanse fotograaf Alec Soth (1969) – gympen, spijkerbroek, grijze hoodie, zwarte baard – is in Antwerpen voor het inrichten en de opening van zijn tentoonstelling Gathered Leaves in het FOMU. Amerika kent hij door en door. Soth (spreek uit met een ‘b’, als ‘both’) woont al zijn hele leven in de Midwest, in Minnesota, en wordt gezien als een van de belangrijkste hedendaagse chroniqueurs van Amerika’s sociale en geografische landschap. Zijn werk is geworteld in de traditie van de on-the-road-fotografie zoals we die kennen van Walker Evans, Robert Frank en Stephen Shore en weerspiegelt de wanderlust die zo groots wordt geëtaleerd in Amerikaanse literatuur en films, van Huckleberry Finn tot Easy Rider en Kerouacs On the Road. In de tentoonstelling zijn vier van zijn fotoseries bijeengebracht. Ze zijn het resultaat van de intensieve reizen die Soth maakte over een periode van ruim tien jaar. Met Sleeping by the Mississippi (2004), foto’s van een reis langs de bijna 4.000 kilometer lange, door mythes omgeven rivier, toonde hij voor het eerst waar zijn kracht ligt: in het vermogen om een lyrische, poëtische blik te combineren met een documentaire benadering. En in het opbouwen van een dromerig narratief: Soth wisselt zijn adembenemende portretten van voornamelijk de onderklasse van Amerika af met interieurs en landschappen en creëert zo een sfeer van melancholie en verstilling. Het maakt hem een dichter met beelden, veel meer dan een documentaire fotograaf pur sang, en de serie – oorspronkelijk alleen uitgebracht in boekvorm – leverde hem een lidmaatschap op bij fotopersbureau Magnum. Alhoewel hij voor Broken Manual in eerste instantie geen portretten wilde maken, merkte hij dat de serie daardoor kracht miste. Hij besloot de mannen in de bossen daarom op grote afstand te fotograferen – als een compromis. In de foto’s is te zien dat dat verbinden soms helemaal niet meevalt – het blijft wel Soth, de melancholische dichter. 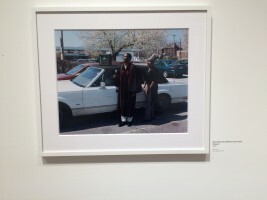 Alec Soth, Gathered Leaves, t/m 4/6 in het FOMU Antwerpen. Met: ‘Sleeping by the Mississippi’ (2004), ‘Niagara’ (2006), ‘Broken Manual’ (2010) en ‘Songbook’ (2014). En docu ‘Somewhere to disappear’ (2011). Paris is considered to be the cradle of photography. It was here that the technology was first made public – on August 19, 1839 – and instantly enthused the waiting world. Paris with its artists, scientists and craftsmen proved to be the ideal breeding ground for the medium. 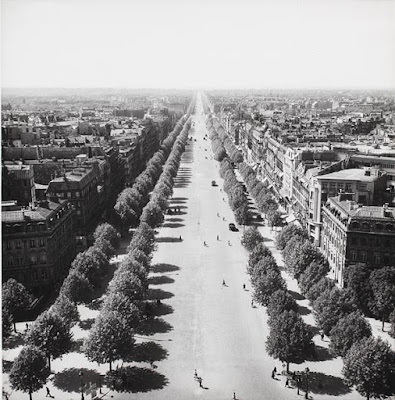 Moreover, from the outset the city itself was the subject for ambitious photographic projects. Without a doubt Paris is the most photographed city in the world. Above all, in the 20th century the metropolis on the Seine emerged as the starting point for important cycles regardless of whether photographing artists sought to confirm a myth or instead eyed it critically. 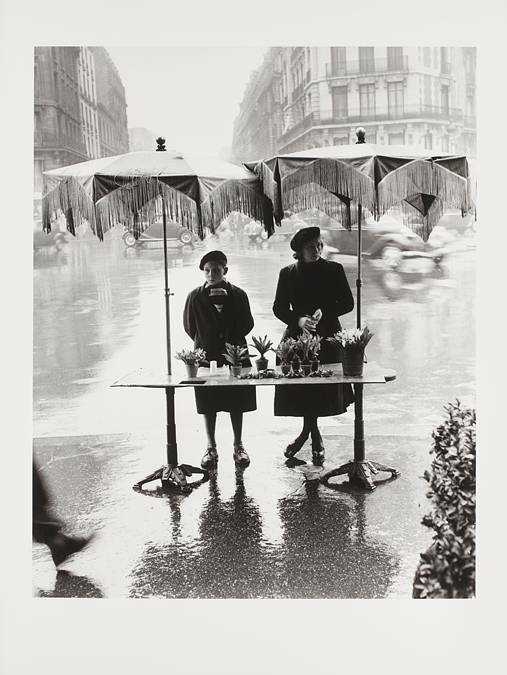 Photography in 20th century Paris not only reflected important stages in modern art and cultural history but equally outlined the opportunities for photographic perception. The present exhibition, whose title is inspired by Henry Miller, sets out to demonstrate the latter by means of a fascinating tour. Eyes on Paris shows how artists engaged in photography (French and immigrants alike) saw, experienced and captured Paris with the camera. The artists’ gaze oscillates between documentary interest and subjective perception, a chronicler’s duty and the projection of personal feelings. 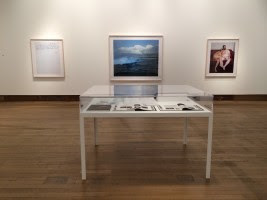 Around 400 photographic works by important representatives of 20th-century photography enter into a dialog with epoch-making books, portfolios or rare portfolio works. After all, no other city in the world has been the subject of as many outstanding publications as has Paris: from Atget to Ed van der Elsken, from Robert Doisneau to William Klein. Vintage print and Vintage book in dialog – the Hamburg exhibition ventures into new territory and simultaneously does justice to the enormously increased interest in the printed image. Not only does the show bring together all the important 20th century books on Paris (with photographic illustrations). 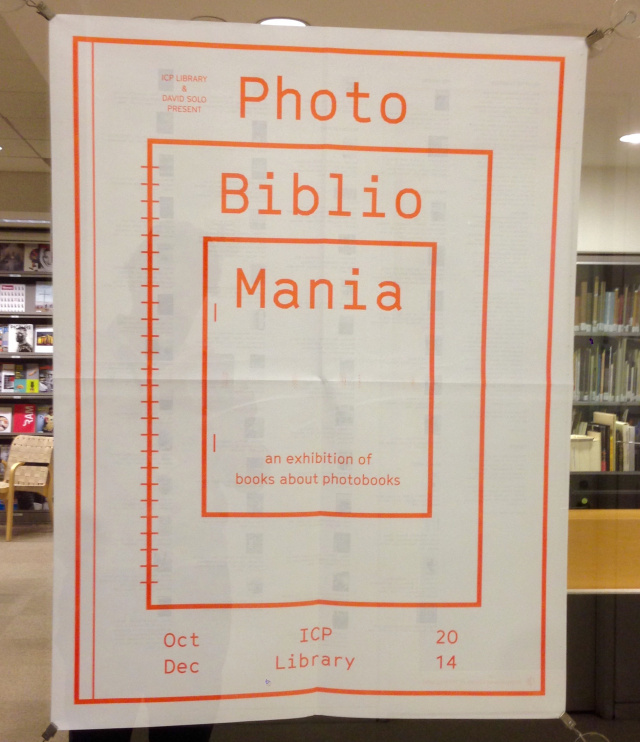 It also tells about their genesis and reception – with the aid of selected prints, book dummies or documents. The exhibition covers the period from around 1890 to the present day. 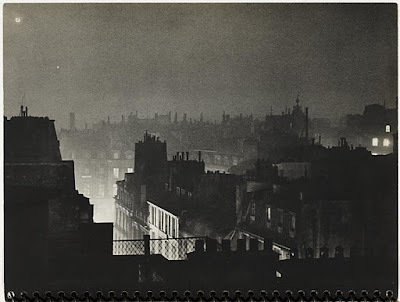 Original black-and-white and color photographs will be on display, works by classic photographers (from Kertész to Izis), not to mention groups of works by young, contemporary photo-artists whose post-modern view of a changing Paris confirms the city’s status as an ongoing challenge for international art photography. On around 1,000 square meters of exhibition space visitors can experience a tour of 20th-century Paris that repeatedly harbors surprises, and cross-references architecture and urban history, everyday culture and art practice. 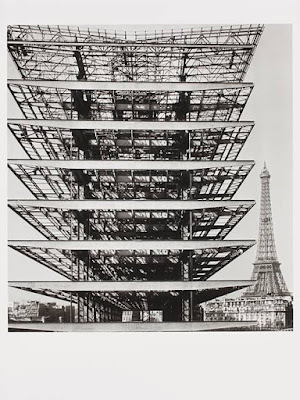 Scheduled to run for some four months the show can safely be considered the most ambitious project on the 20th-century photographic iconography of Paris. 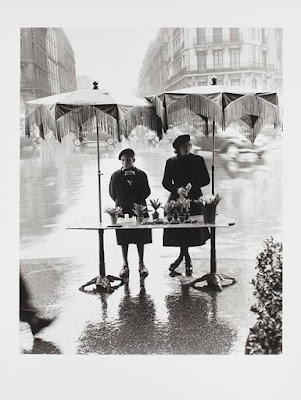 With works by Eugène Atget, Laure Albin Guillot, Jane Evelyn Atwood, Stefania Beretta, Emmanuel Boudot-Lamotte, Brassaï, Mario von Bucovich, René Burri, Peter Cornelius, Robert Doisneau, Ed van der Elsken, Ilja Ehrenburg, Marc Foucault, Shinzo Fukuhara, Jean Claude Gautrand, René Groebli, Andreas Gursky, Ernst Hahn, Fritz Henle, Lucien Hervé, Roger Henrard, Candida Höfer, Birgit Hvidkjær, Pierre Jahan, Tore Johnson, Günes Karabuda, André Kertész, Johan van der Keuken, Ihei Kimura, William Klein, Germaine Krull, Andréas Lang, René Maltête, André Martin, Moï Ver, Patrice Molinard, Nicolas Moulin, Albert Monier, Jeanine Niepce, Pierre Peissi, René-Jacques, Bettina Rheims, Willy Ronis, Sanford H. Roth, Roger Schall, Jarret Schecter, Kishin Shinoyama, Otto Steinert, Louis Stettner, Christer Strömholm, Bettina Rheims, Emmanuel Sougez, Romain Urhausen, Yvon, Thomas Zacharias. 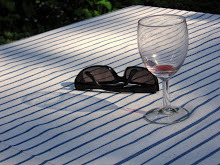 Hamburg/Haus der Photographie will run from September 16, 2011 to January 8, 2012. Paris is considered as the cradle of photography because it is there that photographic technology first emerged in 1839. From the very beginning, the city lent itself very easily to ambitious photographic projects and thanks to its artists, it proved to be the ideal breeding ground for a new medium, which was photography. The Hamburg exhibition aims to show how artists engaged in photography saw, experienced, and captured Paris with their cameras. It covers at once, the full spectrum of photographers including those with a documentary interest as well as those who instilled personal feelings into their work. The exhibition will venture into new territory by displaying vintage photographic works together and in dialogue with vintage books, portfolios, and portfolio works. In the approximately 1,000 square meters of exhibition space, visitors can experience roughly 400 photographs by important representatives of 20th-century photography together with works by young, contemporary photo-artists. 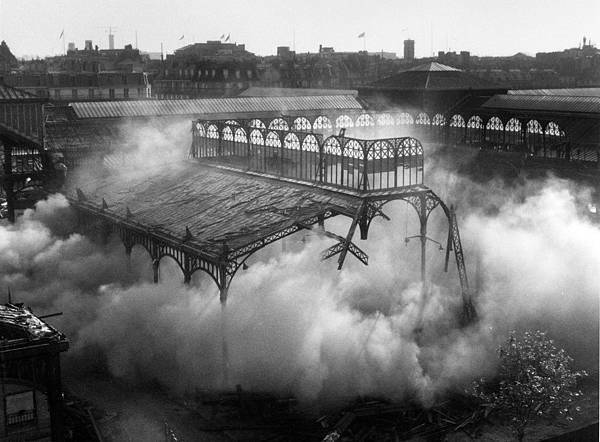 The exhibition will cover the period from circa 1890 to the present day. 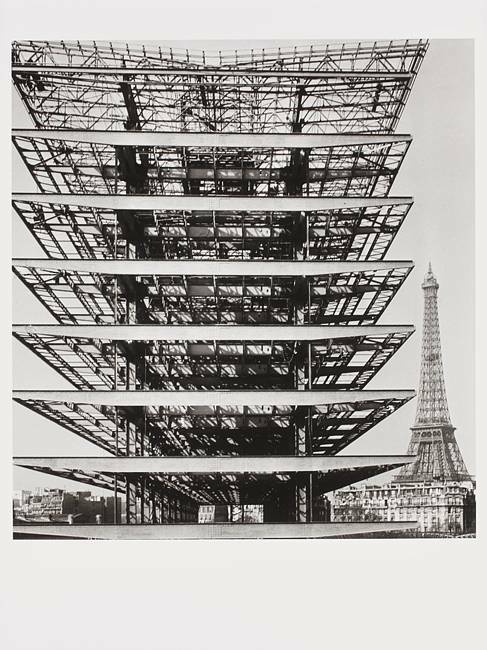 The exhibition at Deichtorhallen Hamburg’s Haus der Photographie, scheduled to run from Sept. 16, 2011 to Jan. 8, 2012, is one of the most ambitious projects exploring the 20th-century photographic iconography of Paris. It will be accompanied by a comprehensive catalog published by Hirmer Verlag. Brassaï is the pseudonym of Guyla Halász from Transylvania (Hungarian at the time of his birth, but currently part of Romania). Brassaï literally means: from Brasso (his native village). 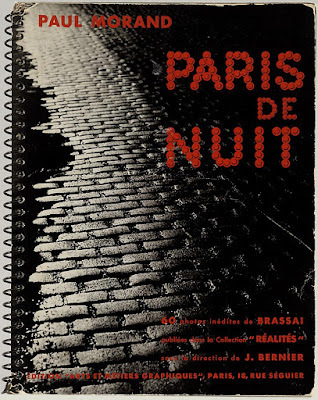 He decided to use this pseudonym in 1932, the year in which Paris de nuit was published. He had already been living in Paris for eight years, where he wrote articles for German magazines and met photographers such as Atget and André Kertész. 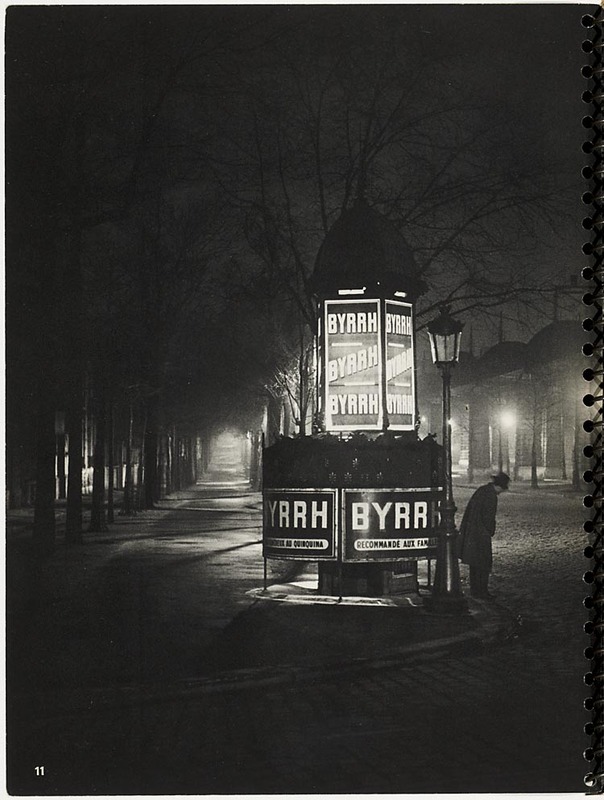 Not until 1930 did he first begin to take photographs himself, immediately discovering his main subject: Paris. He moved into an apartment on the corner of the Rue de la Glacière and the Boulevard Auguste-Blanqui in 1928, where Raymond Queneau also lived. Brassaï would sometimes go out at night with Queneau or other nocturnal people such as Léon-Paul Fargue, but he usually just walked through the abandoned streets and alleys of the city. He could only take 24 photographs per walk because the stack of glass photo plates would otherwise grow too heavy. 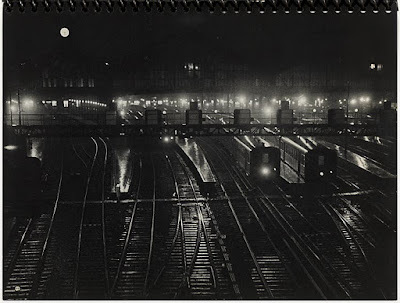 His nocturnal journeys yielded a wealth of photographs which by now have gained the iconic statusin modern photography. They were first published on 2 December 1932 by Arts et metiers graphiques, which was Charles Peignot's publishing business. He was also the founder of the magazine Arts et metiers graphiques (1927-1939) in which articles on design, typography, illustration and advertising appeared. It was printed in an edition of 4000 copies: printers were also associated with the editing staff, like Léon Pichon. Peignot was the president of type foundry Deberny et Peignot, and were in contact with the Union des Artistes Modernes (Cocteau, Gide, Sonia Delaunay, Maximilien Vox and others) and with poster designers such as Cassandre. 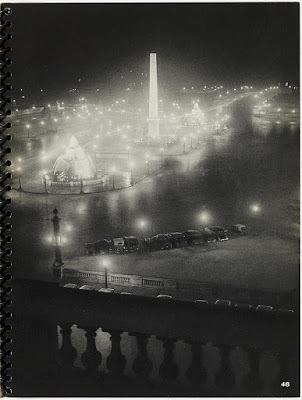 The first review of Paris de nuit was published in a Dutch newspaper, the Nieuwe Rotterdamsche Courant of 29 December 1932. An English edition of the photo book appeared in 1933 from Batsford Gallery in London. 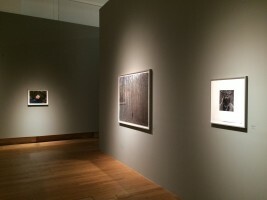 The photographs were also exhibited. Many photo books were to follow, including a book in 1960 about the graffiti on Parisian walls, which he had documented in his photographs since 1930. 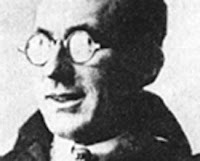 Not without reason did Henry Miller call him 'the eye of Paris'. Jean Paulhan actually asserted that Brassaï had more than two eyes. – Anything else you might think of! Feel free to post comments or to send to Dave Solo (dsolo@alum.mit.edu) and Matthew Carson (mcarson@icp.org) We’ll update the content periodically and, who knows, maybe even turn it into a publication one day. 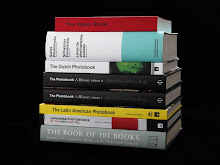 Books about photobooks have been a rapidly expanding subject for the past few years, with seemingly several appearing every month – whether broad surveys, single photographer or country/region references, exhibition catalogs, etc. The first Book on Books on Artist Books appeared a few years ago to further establish this as a category and I’ve been collecting them (as a subset of the overall photo/artist book collection) for a number of years. They are both reference material and also sometimes wonderfully made books in their own right (they’re also alas a way of expanding one’s wishlist, too). It’s also been an opportunity to start thinking about both a taxonomy of books on photobooks and about criteria for what makes a more or less successful one and I’m hoping this might be an opportunity to instigate more discussion about that topic. Iizawa, Kotaro. Arakibon 1970-2005 – A Book of Araki Books! Ewing, William A. & Herschdorfer, Nathalie. Impressions en continu – l’art du liver. Copenhagen: Lodret Vandret , 2014. Roth, Andrew. Provoke Catalogue by Andrew Roth. 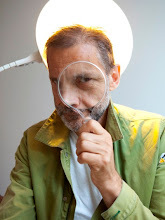 La Plata, Argentina: Leandro Villaro and Biblioteca Pública de la Universidad Nacional de La Plata, 2014. Sehnsucht nach Paris. Text von Ute Vallance. Jesse, Nico: Published by Bertelsmann Lesering, 1960. Joan van der Keuken: Quatorze juillet. 2010. Van Zoetendaal Gallery, 2010. First edition, first printing. For Martin Parr one of the best 10 photobooks in 2010 ("This beautifully designed and printed small book shows photos taken in 1958 of couples dancing on the street. Pure joy."). Paperback with jacket (as issued). 190 x 260 mm. 62 pages. Black and white photos. Text in english and french. Fantastic photobook by the maker of the legendary "Paris mortel. Mortal Paris" (Martin Parr, The Photobook, page 248/249). On 14th July 1958 Johan van der Keuken took a walk along the Seine and stumbled across a street festival on this important French national holiday. On a small square a stage had been set up, garlands decorated the street, music was playing and the people were celebrating and dancing. The photographer has captured the special atmosphere of this afternoon and thanks to his images one gets a great insight into the Paris of the 50s: People of all ages enjoy themselves and small narratives develop. Whether a group of chatting girls, laughing children, happy dancing couples, spontaneous encounters or little flirts, all these are scenes full of light heartedness and human company. Most of the pictures have remained unpublished until now. In "Quartorze juillet" they now form a perfect addition to the image which was chosen by van der Keuken. They show what happened before, what comes afterwards and thus complete the session. Actually he had chosen only one photograph, which reflects the mood of this day best and which was used in many of his books: A couple, which dances closely embraced on the street in front of an old house front and barely notes the other celebrating people. It almost looks like a moving sill life, like a stopped film sequence. A thought which is not that absurd, because the photographer himself studied at the film academy in Paris and later became a famous documentary film-maker. Right from the start he was very interested in the dynamic of static pictures. The countless possibilities of film-making inspired him, influenced his perception and therefore his photographic works as well. Last but not least one should add that the design and the fabrication are high-class as well. From the choice of paper to the special binding this book really is a success. Oorthuys, Cas. Bonjour Paris, Bonsoir Paris, Au revoir Paris. Femmes de Paris; photographies de Nico Jesse. Hamburg: Rowohlt, nd . Hardcover. The first book by Ed van der Elsken (1925-1990.) 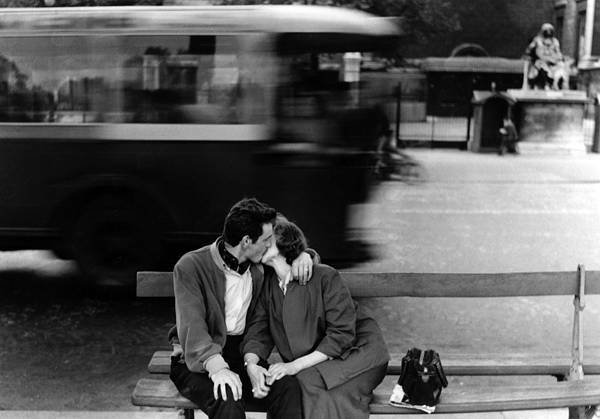 Shot over a period of four years, the photographer used images he made of his girlfriend, his friends and acquaintances, and street photos to craft the fictional story of two star-crossed lovers and disguised it as a documentary photo-essay on bohemian life on the Left Bank of Paris in the 1950s. 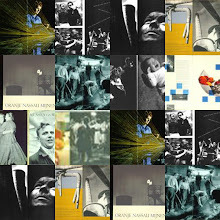 One of the classic books of photography, it became very influential for its gritty, snapshot-like technique as well as for its cinematic layout. Photographs and text by Ed van der Elsken; designed by Jurriaan Schrofer. First German edition, though probably a later printing. Unpaginated [112 pages]; 216 b&w illustrations; 7.75 x 10.75 inches. Text in German. Ref: Parr & Badger, Photobook, Vol. I, p.245; Roth, Book of 101 Books, p.146-147; The Open Book, p.168-169; Auer, 802 Photo Books, p.363. Nico Jesse: Sehnsucht nach Paris. 1960. With dustjacket. Mit Schutzumschlag. Blüchert Verlag, Hamburg. 1960. First edition, first printing. With the scarce original dustjacket! Hans-Michael Koetzle, Eyes on Paris, 1890 till today, page 302/303. Hardcover with dustjacket in black with yellow letters (Variation). 210 x 280 mm. 304 pages. 522 photos in black and white. Photos: Nico Jesse. Text: Ute Vallance. Parijs. Tekst van Ute Vallance, voorwoord van Jean Cocteau. Amsterdam / Brussel. 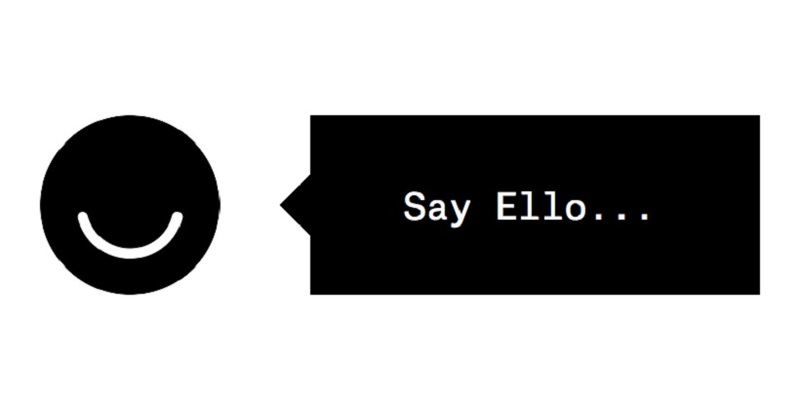 Elsevier. 1962. Gr. 8°. 304pp. Or-linn met besch. Stofomslag. Illustr. Joan van der Keuken. Paris mortel. Mortal Paris. 1963. With dustjacket. Mit Schutzumschlag. C de Boer Jr. Hilversum, 1963. First edition, first printing. Martin Parr, The Photobook, vol 1, page 248/249. Scarce photobook title! With the extrem scarce original dustjacket! Hardback with full off-white linen and dustjacket. 285 x 220 mm (11 x 8 1/2 in). 68 pages. 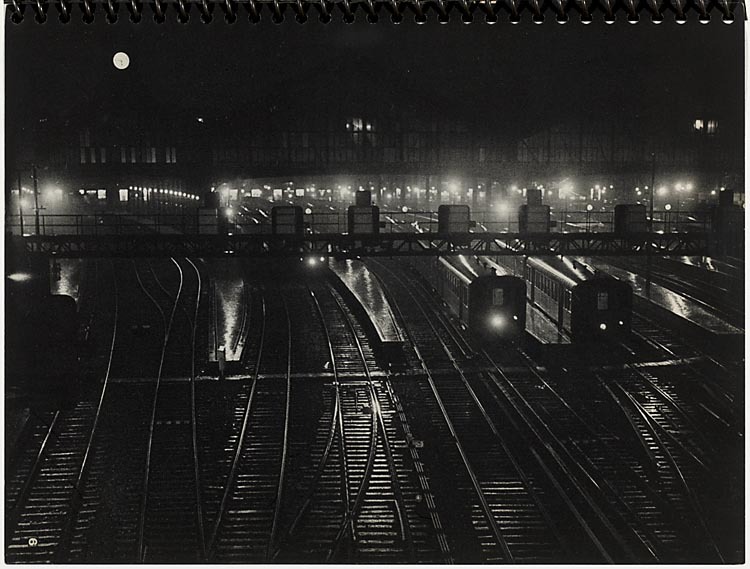 65 photographs in excellent photogravure printing. Text in dutch, english, french, german. Photos: Joan van der Keuken, Layout: Marinus H. van Raalte, printing: DEBO, Hilversum. One of the most important photobooks ever published! Japanese binding! Breath-taking photogravure printing! Bruynzeel's Fabrieken Zaandam. [Text C. Bruynzeel (firm's history). Photography Piet Zwart. Ill., layout Vilmos Huszar]. 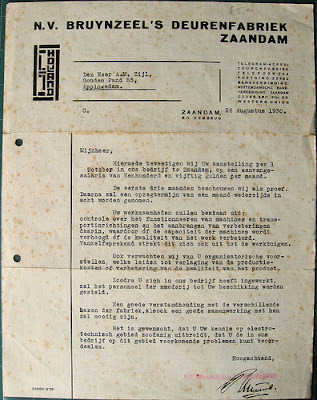 Zaandam / 1931 / 72 p. / hb. / 24x32cm / 119 b&w photographs, partially commissioned and partially from the firm's archive / interieuropnamen, bedrijfsreportage / productieproces, houtvoorraad, halffabrikaten en toepassing van hout in woningbouw, musea en oceaanlijners. - 49 color ill. / beeldmerk, colorvlakken / aardbol en het patroon van een parketvloer. / NN / Firmenschrift, Festschrift / Wirtschaft, Firmengeschichte - Photographie - Anthology - Auftragsphotographie, commissioned photography - Nederland, Niederlande - 20. Jahrh. / Printed by (boekdruk). - Opdrachtgever: C. Bruynzeel & Zonen's Vloerenfabriek, Schaverij, Zagerij en Houthandel (10-jarig bestaan). 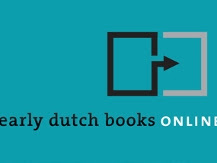 - Voorloper van bedrijfsfotoboek met kenmerken van foto-typo-taal. Uitgevoerd in oblong formaat. De fotografie dient ter illustratie van de tekst. Vilmos Huszár, a Hungarian interior decorator, painter, and graphic designer, studied at the Kunstgewerbeschule in Budapest in 1901. After living in Munich, Paris, and London, Vilmos Huszár settled in the Netherlands in 1908. In 1917 Vilmos Huszár joined the painters Theo van Doesburg, Piet Mondrian, Bart van der Leck, the architect J.J.P. 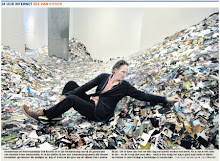 Oud, the poet Willem Kok and others to found De Stijl. In 1919 the furniture designer and architect Gerrit Rietveld also joined the group. 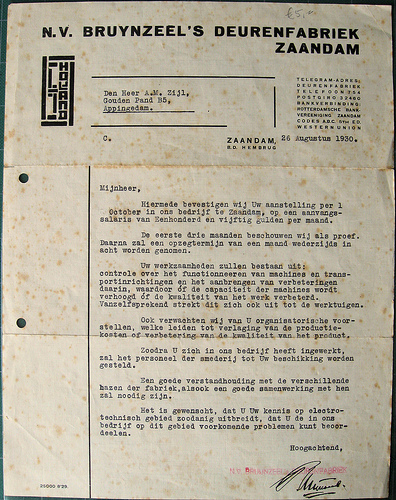 In 1917 Mondrian and van Doesburg founded the art journal "De Stijl", from which the group of artists took its name. The De Stijl artists were entirely opposed to naturalistic representation. The palette De Stijl advocated was limited to the primary colors blue, red, and yellow plus the non-colors black and white. Forms were always reduced to horizontal and vertical basic elements; under the influence of the Russian avant-garde, diagonals were later permitted. These stylistic principles were applied by Vilmos Huszár as well as Gerrit Rietveld with great consistency to interior design, including furniture and textile design. Vilmos Huszár interpreted interiors as surface impressions; the impression of space was to result from surfaces being in different colors and material substance. Similarly, spatial depth was to be influenced, i.e. enhanced or moderated, by polychrome floors, walls, and ceilings as well as the furnishings and appointments of rooms. Through his dynamic interior designs and powerful use of color, Vilmos Huszár exerted a powerful influence on the De Stijl artists. From 1917 to 1921 Vilmos Huszár designed covers for the journal "De Stijl" and wrote several articles. In 1923, however, Vilmos Huszár left the De Stijl movement.